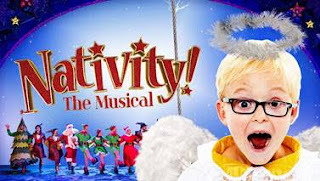 Following sold out performances at The Eventim Apollo in 2017, Jamie Wilson, Entertainment One (eOne), Ramin Sabi and Belgrade Theatre Coventry have announced the return of Birmingham Repertory’s production of the tour NATIVITY! THE MUSICAL next year opening in Coventry in Octoberand ending at The Eventim Apollo in Hammersmith, London for an extended Christmas run in 2018. NATIVITY! THE MUSICAL will first open at The Belgrade Theatre, Coventry on Tuesday 23 October 2018 and will then visit Liverpool, Glasgow, Milton Keynes, Nottingham, Edinburgh, Oxford before finishing the tour at The Eventim Apollo, Hammersmith from 19th-31st December. Casting news to follow. Producer, Jamie Wilson said “We are so pleased with the phenomenal success of the show and the spectacular run in London this year and are thrilled to be returning in December 2018 for an extended run at The Eventim Apollo. Next years production is going to be bigger and better, with more sparkle, more shine and more festive cheer than ever before and we are looking forward to touring the show across the UK before our final stop in London”. Debbie Isitt said today “I am so proud of this fantastic musical we created for 2017 and the extremely talented cast that brought this show to life. So many families have had so much joy from our wonderful show and after a fantastic success we are delighted to go back on the road in 2018 and take our sparkle and shine to brand new venues across the UK including a fantastic return to the magnificent Eventim Apollo in London - we can’t wait to get started!”.